It’s good to save, or so we’re told. Providing you’re not putting away funds that could be better financially channelled into paying off expensive debt, setting some money aside for a rainy day, a trip of a lifetime or as a deposit for the future home of your dreams is something we’re generally actively encouraged to do. 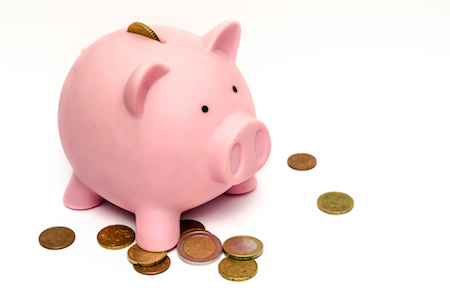 In fact, not so long ago the government announced plans to increase the Personal Savings Allowance, which means that basic rate taxpayers can earn up to £1,000 in interest from savings tax free, and higher rate tax payers now have a £500 allowance. This development has somewhat skewed the scales of savings products with some customers now opting to keep money in current accounts that pay a higher rate of interest rather than shifting funds into a specialist savings account or Individual Savings Account (ISA). However, even if you snag a higher interest rate, it may not represent the best deal for you depending what your individual financial circumstances are. With the long awaited innovative ISA starting to gain a little momentum, we thought we’d provide a refresher of the three main types of ISA on the market. Individual Savings Accounts are a tax-free option for your savings. We all have an ISA allowance, a maximum amount we are allowed to store in these tax-free pots. At the moment is £15,240 and this allowance will rise to £20,000 in April 2017. The rules allow you to max out one allowance only at any one time, though you may be able to split the balance between two cash ISAs with one provider, if they allow. There’s also the choice to split your allowance across a stocks and shares ISA, cash ISA or innovative ISA, so long as the total is within your allowance. You can also hold old ISAs with different providers. However, if you choose to move your money between ISAs to gain interest in a new account (within the permitted allowance), you must transfer the balance rather than withdrawing the money yourself and paying it in to the new account. It’s also worth noting that if your partner passes away you are able to inherit their ISA with the tax-free element intact, but this isn’t possible with a standard savings or current account governed by the Personal Savings Allowance. Put simply, the cash ISA is a tax-free savings account with products available that offer fixed or variable rate interest. Like other financial products, fixed rate ISAs tend to tie your cash up for longer. Fixing can help you to access higher rates but if the market changes you may see rates rise without being to transfer your funds until your fix is over (at least not without a penalty). For higher returns accompanied by a higher risk, you can choose a stocks and shares ISA, which is free of capital gains tax. Capital gains tax is paid on profits made by selling/gifting assets, for which individuals receive an £11,100 annual allowance (the annual exempt amount). However, investments in stocks and shares ISAs don’t count towards you Capital Gains tax allowance. Rather than simply putting your money in a pot, this type of product invests your funds in shares or bonds. These products usually come with a set up fee, which you pay to the online broker or the platform managing the investment for you. And, if you want to withdraw money or change the investments, you’re likely to incur additional charges. Compared to the fairly descriptive cash ISA or stocks and shares ISA, the Innovative ISA has a somewhat fancy name to live up to. This type of ISA was launched in April 2016 but has struggled in some respects to get going, as customers have been waiting for the lending platforms involved to be officially approved. Former FSA boss Lord Turner also sounded a note of caution earlier in the year about the concept of Peer-to-Peer lending that the ISAs are built around. This may have dampened enthusiasm about the concept for some but there are equally many savers hoping to jump on board the ‘innovation’ train. The innovative ISA is riskier than simply putting your money in a cash ISA and as such offers the prospect of greater returns. Your money provides peer-to-peer loans for projects such as helping startups to launch or SMEs to expand. You can use your allowance to make multiple loans and spread your lending risk. The platforms offering this investment such as Zopa should carry out checks on borrowers on your behalf to help minimise the risk to an extent, though there’s no savings safety guarantee in place to protect your money. Which ISA should I take out? Hopefully, by reading this introductory guide you will have fathomed that choosing the best ISA for you is not simply a case of looking for the account with the best interest. And if you have a relatively small amount to save, right now an ISA may not be the best option for you right now. However, an ISA could be a good bet if you’ve already used up your Personal Savings Allowance or Capital Gains Allowance or perhaps the Innovative ISA appeals to you because you like the idea of helping smaller business ventures? If you’re risk averse, you are likely to want to stick to a simple cash ISA and then choose whether to plump for a variable or fixed product. Whether there’s you’d like to investigate a particular type of ISA further or you want to know a little more about the providers offering them before you take the plunge, you can find real customer reviews providing you with information about the best ISAs on our site.